I joined a main dealership, Bond Street Saab, when I left Ratcliffe College and completed my technicians apprenticeship with them to a level 3. During that time I completed a college course in vehicle maintenance as well as gaining valuable practical experience servicing customers cars and preparing cars for sale. I spent a period away at their Anstey subsidiary called Bond Street Select, where they also had a Kia franchise. There I gained additional experience in servicing a wide range and variety of new and used vehicles, When I left Bond Street in 2012 I was one of their main technicians carrying out important technical jobs, some of these jobs were diagnosing faults with cars electrical and mechanical systems, replacing and rebuilding engines and gearboxes. I have been involved in Motorsport as a driver and repairing/preparing cars for over 10 years. Working in motorsport has allowed me to learn about products in more detail and how to replace components quickly but safely. At weekends I have also run front running National racing drivers in the MSA Super 1 series. This involved mechanicing on the vehicles and acting as race engineer, selecting the vehicle set-up, plus driver coaching and race strategy. 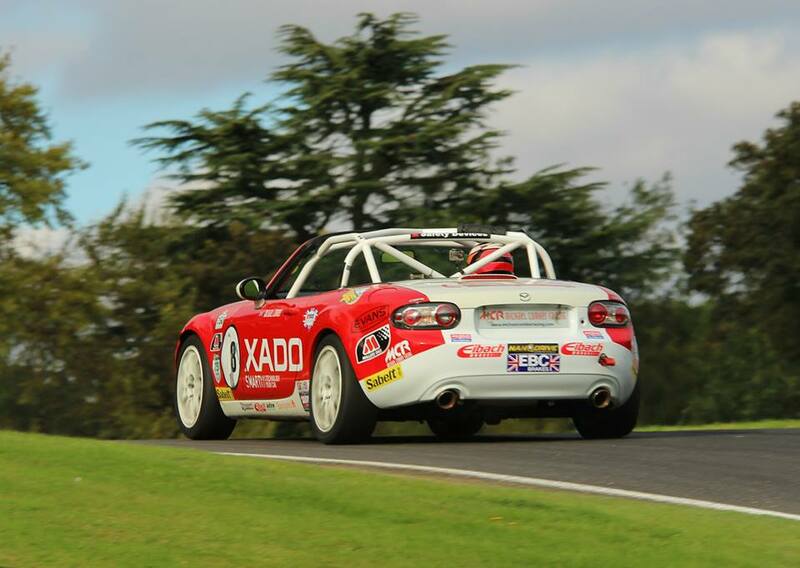 This follows on from my successful hobby when I won the MSA National TKM title in 2006, 750mc Locost championship title in 2012, Mazda Mx5 Autumn Challenge 2013 and most wins in the 2014 BRSCC MX5 Supercup Championship. We are also an MX-5 servicing and performance centre, using genuine Mazda products or products that we stock and sell, such as; Eibach, Gaz Suspension, EBC Brakes, Rota Wheels, Millers Oils, Xado Additives, Power Maxed Products, Sabelt and the Nicky Grist Range. We have already established the business with a number of customers from Thrussington and now customers from all the villages between Leicester and Melton Mowbray bring their cars for a service. We would like to thank our existing customer base for spreading their kind words and encouraging their friends and family to use us. Word of mouth is the best type of advertisement in our eyes and in return we are going to have a gift every month for a customer who has been mentioned the most by new cutomers for recommending them to use Thrussington Garage. Getting the job done the quickest, easiest and cheapest way. The business was formed to provide a cost effective service and repair solution for people living around and about Syston and surrounding villages. By providing a free collection and delivery of your car should reduce the hassle of physically visiting a garage. Alternatively you could deliver your car to us and we will be pleased to take you home or to your work place and then at an agreed time collect you. The business hours are from 8am until 5.30pm so that it's possible to drop your car off before work. We can open on Saturdays and Sundays to resolve minor service issues. Full safety check of the car going onto the ramp and check the brake and tyres condition. On the ground, lights and level are checked together with the anti-freeze strength and battery condition. Mr and Mrs Lapidge (Melton) - We Have used Thrussington Garage since they opened in 2012, Thrussington Garage are very welcoming, explain every option clearly and always do a good job. Mr Kristian Carver (Queniborough) - I take my work vans to Thrussington Garage to have repairs or servicing work done. Its always done quickly so i can have them back on the road and at a very good price. Mr Haggarty (Thrussington) - Friendly, Honest, Quick and Very well priced, Many Thanks Thrusington Garage. Please send in your comments by using the enquiry form, we would like to hear your feedback to help us improve/maintain are customer service.